What to look for when buying a used Toyota Prius? The Toyota Prius entered production in 1997 as one of the first full production hybrid vehicles to be offered in the United States. The Prius quickly became synonymous with hybrid cars and developed a culture of ownership all its own. The unique styling and extremely high fuel economy of the car made it popular and it has become the world's best-selling electrified vehicle. The first-generation Prius entered the market in 2001 with some acclaim and though it was not the first mass-produced series hybrid vehicle on the U.S. market, it quickly became the best-seller thanks to its far more versatile four-door design. The second-generation Prius was introduced in 2004 and saw a redesign into a five-door hatchback, which it has retained since. The hatchback body style gave it a more unique look, better aerodynamics, and a more versatile interior. This generation of the Prius won popularity as the "environmentalist's car" and a culture of drivers began to emerge. The third-generation Toyota Prius was in showrooms in 2010 and saw a continued evolution of the hybrid car towards more and more fuel efficiency. This model became popular with cab drivers and urban dwellers for its more roomy back seat and smarter interior. A fourth-generation Prius was introduced for 2016 with a more radical body design and roomier interior seating. Aerodynamics and engine economy were improved to add more fuel economy to the car. Buyers of the Prius as a used car should be aware that the 2007 and 2008 model years often have headlamp issues, usually with wiring failures that require extensive replacement. Higher-mileage Prius models from the third-generation are also gaining a reputation for losing engine seals and leaking oil. What Toyota Prius model year and mileage can you get for your budget? The 2018 Prius marks the third year of the latest generation of the car whose name became synonymous with hybrid. The 2018 Toyota Prius carries forward largely unchanged from when we looked at it in the 2017 model year, when items like advanced safety features and the plug-in hybrid Prime model were added. The new-generation Prius has an updated look, that adds a taste of futurism to the much-maligned looks of the car's previous generation for the car. This new Prius also has added interior and ride comfort, and more versatility as a daily driver. The Prius is still wonky compared to other compacts on the road, but as a brand, the Prius has gained a reputation for being the "unafraid hybrid" that doesn't hide behind a standard gasoline model's reputation. The 2018 Toyota Prius is a five-seat hatchback with a gasoline-electric hybrid powertrain. It has the best fuel economy in the segment and comes in seven model and trim levels. The Toyota Prius was completely redesigned in 2016 to upgrade the body styling and improve the interior experience. Driving dynamics were changed and the car was given some upgrades to raise fuel economy and boost comfort. These have all paid off. For the 2017 model year, changes are minimal and include making the Safety Sense advanced driver aid and safety features standard across the board for all Prius models. Additionally, the plug-in hybrid (PHEV) model has been reintroduced as the Prime for this new-generation Prius. The 2017 Toyota Prius is a five-seat (with the exception of the four-seat Prime) hatchback sedan powered by a gasoline-electric hybrid powertrain. The Prius has its oddball points, but is an excellent compact hatchback in its own right, with the added bonus of a best-possible fuel economy. There are seven trim levels for the 2017 Prius, which means there are a lot of options for buyers in terms of accouterments and capability. The 2017 Toyota Prius is far more likable than the Prius has ever been. It might not have been the first hybrid vehicle sold in the U.S. (that honor goes to the Honda Insight), but the Toyota Prius has cemented itself as being the gold standard for them. You might think this may cause a manufacturer to rest on their laurels, but not Toyota. Last year saw the Japanese automaker introduce the fourth-generation Prius that brings a number of key improvements in the powertrain and aerodynamics. But other changes for the interior and chassis help make it a better car overall. 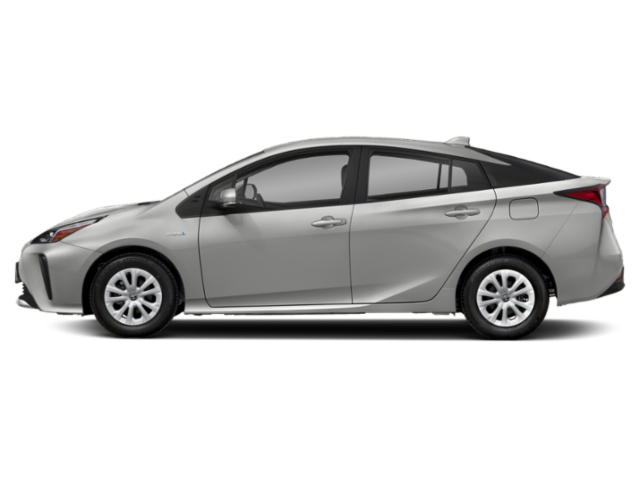 With its excellent fuel economy, spacious back seat, large cargo area and high reliability rating, the 2013 Toyota Prius midsize hybrid appeals to buyers who want a versatile hatchback that also saves on gas. Besides the standard Prius, there's now a Prius Plug-In Hybrid, the Prius V wagon, and smaller Prius C hatchback.